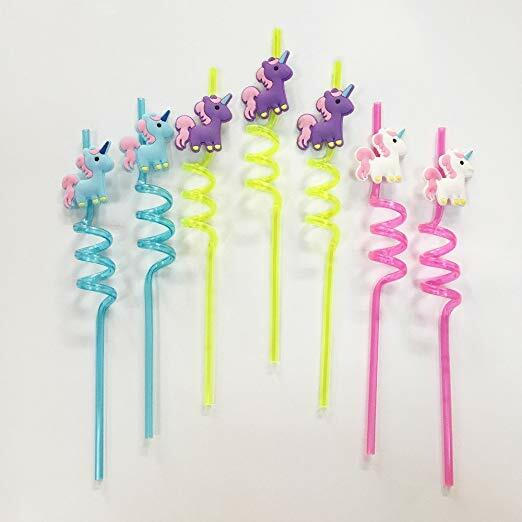 The unicorn party trend is still going strong my friends! Yes, she’s been joined by the newly popular llama, sloth and narwhal, but the magical unicorn is still beloved by little girls everywhere! 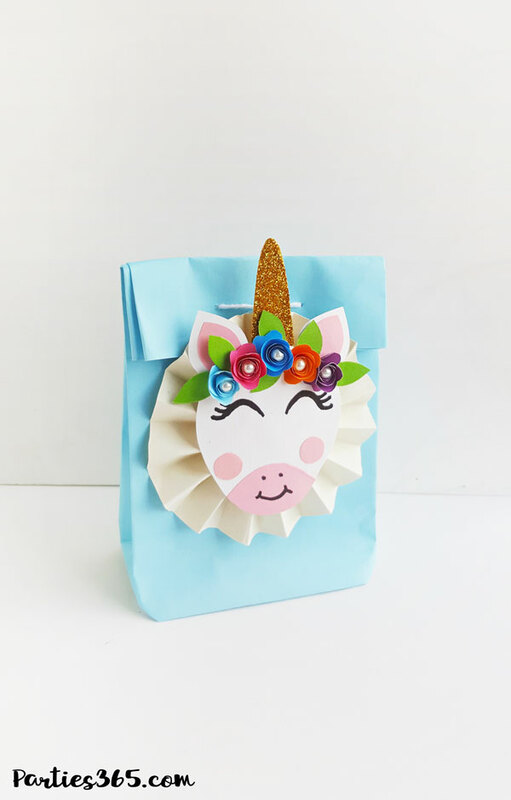 If you’re throwing a unicorn birthday party, baby shower or themed playdate soon, you’ll love these darling DIY Unicorn Party Favor Bags! 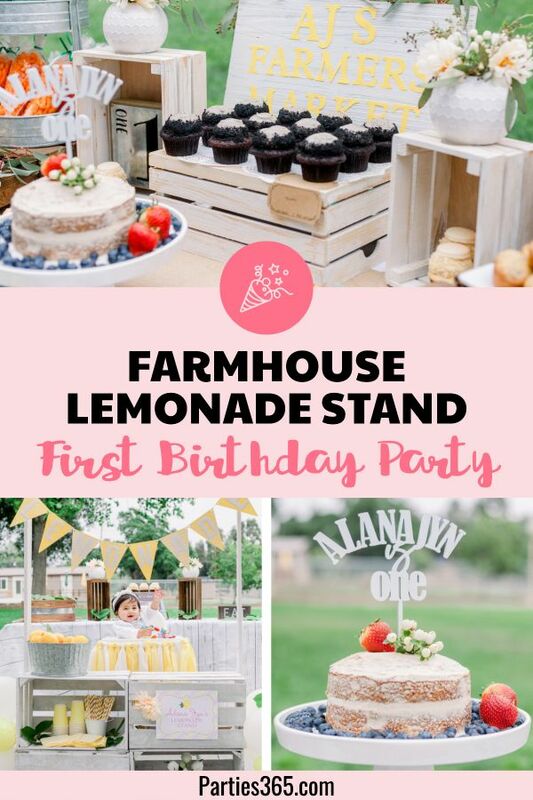 We have the printable template and the exact steps to follow to create these darling giveaways your party guests will love! 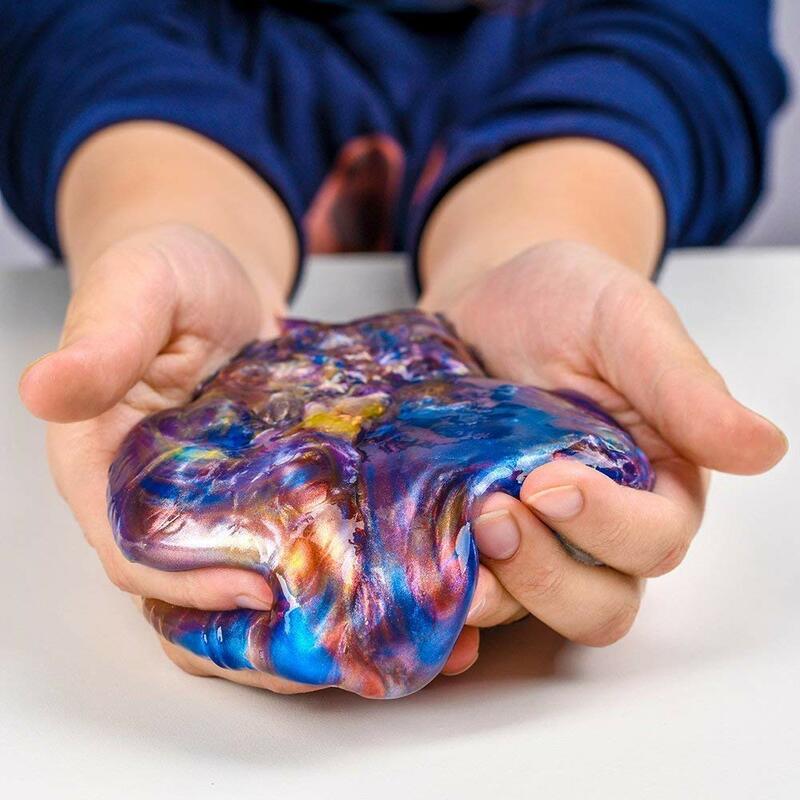 Let’s be honest… one of the best parts of a party as a kid was rummaging through your goodie bag on the way home, right! 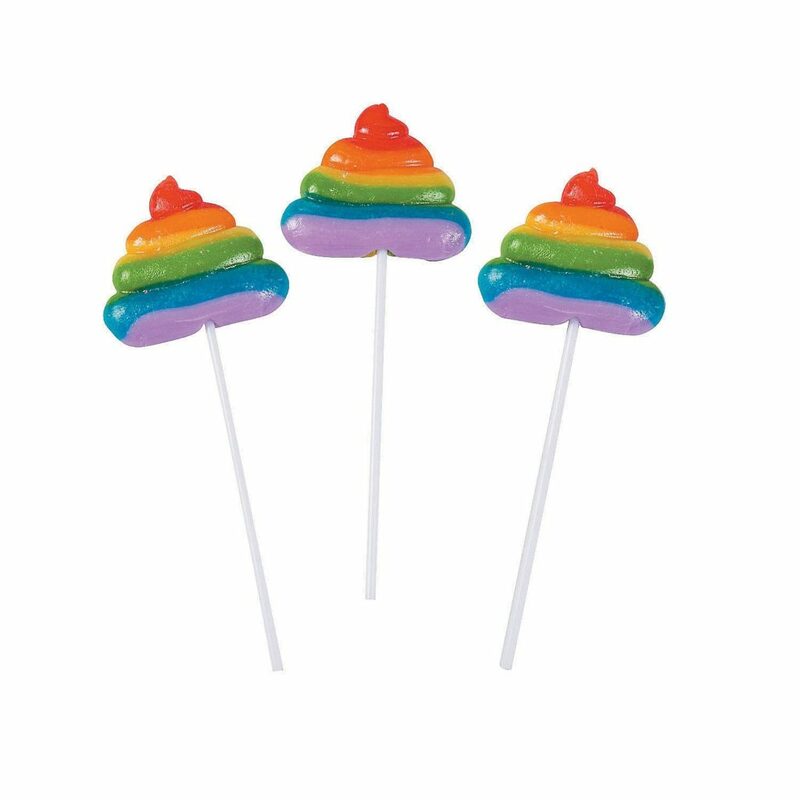 And parents everywhere are still going all out to create the perfect party favors for their child’s birthday party. That’s why we want to make it easy for you to create a darling goodie bag your guests will adore! I love this little unicorn because she is so versatile! 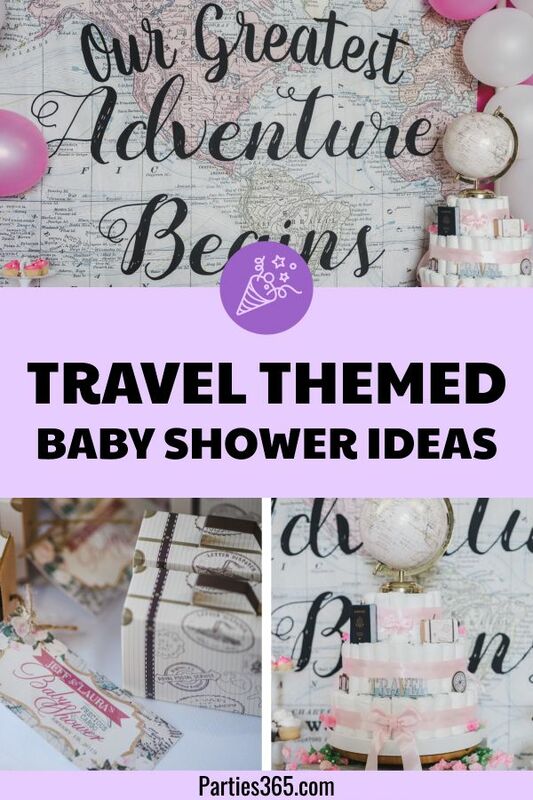 She can be an ornament at Christmastime, a fancy decoration for a thank you card or birthday invitation, she can be attached to a Happy Birthday banner, or like we’re talking about here, she can dress up your party favor bags! 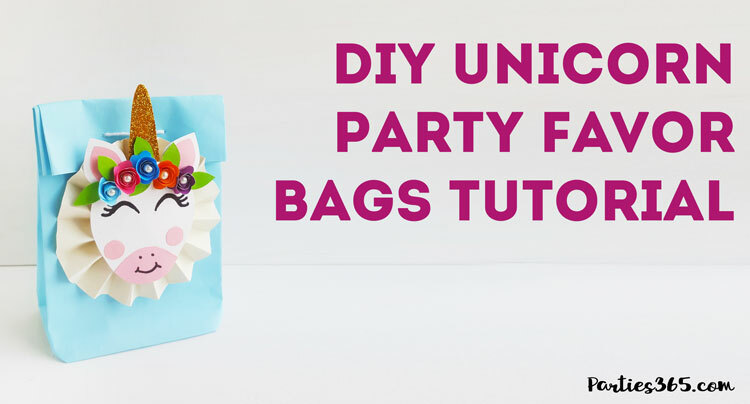 All the steps for creating the unicorn to attach to your favor bags can be found in our DIY Unicorn Ornament Tutorial. 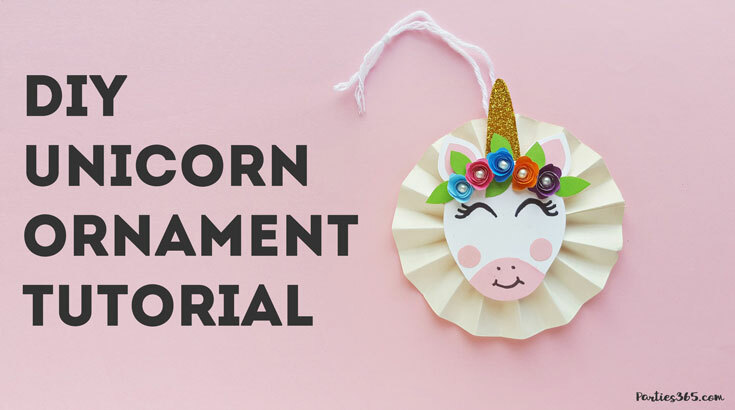 You’ll follow Steps 1 – 10 in the tutorial and then omit Step 11 (you don’t need to add string to turn your unicorn into an ornament) and finish with Step 12. The last step is to glue the back of your unicorn to your favor bag in your desired location. I’d recommend folding the top of your bag down once or twice, depending on how you’d like to close it, and then centering your unicorn on the bag, similar to what we’ve done here. 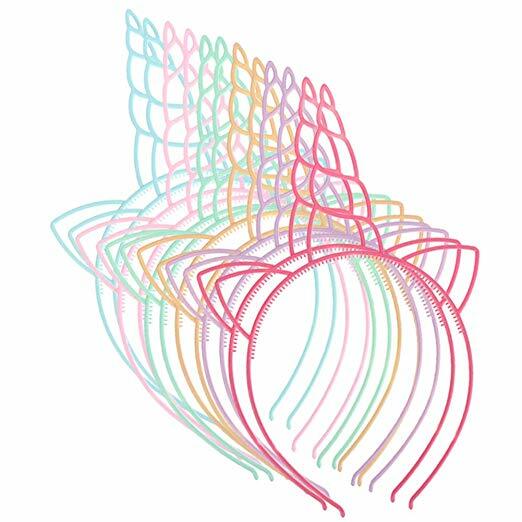 If you’d like to take the extra step of using some yarn or string to more securely close the bags like you can see in the pictures, simply use a hole punch on the folded portion of the bag and weave your string in to tie the favor bag closed. 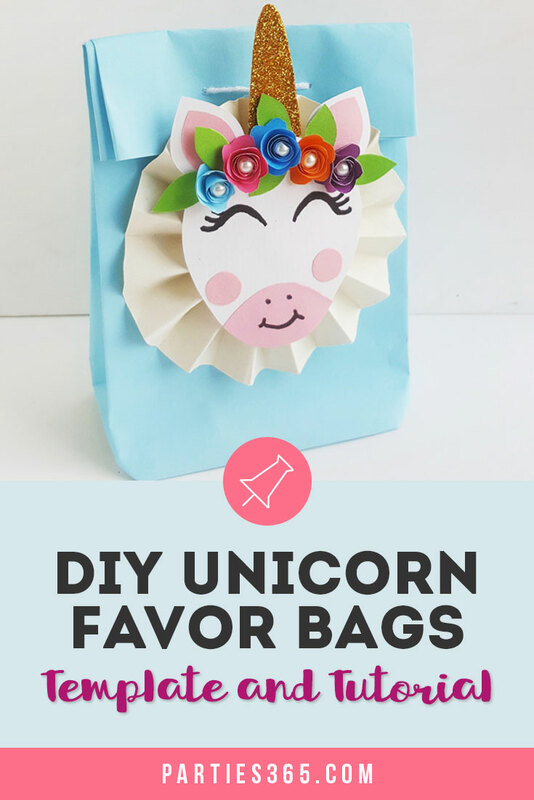 Now that you have everything you need to make these adorable favor bags, are you wondering what you should put in them? 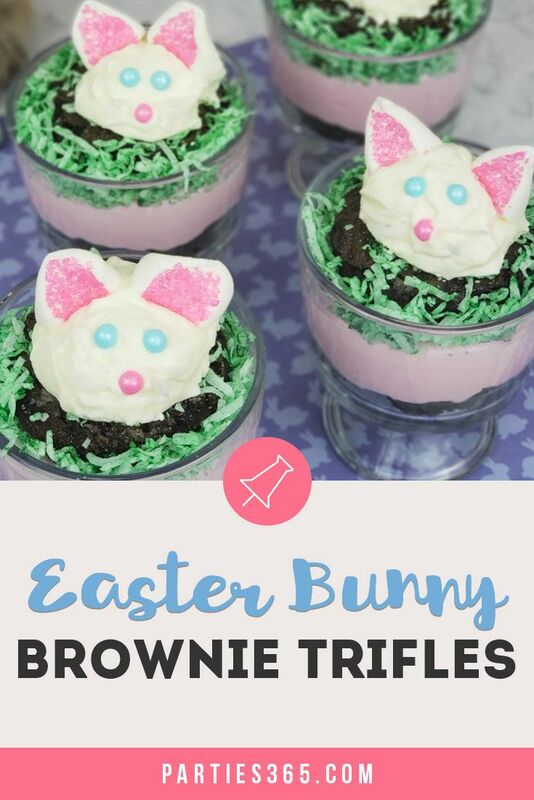 Luckily, we have a few ideas for you! 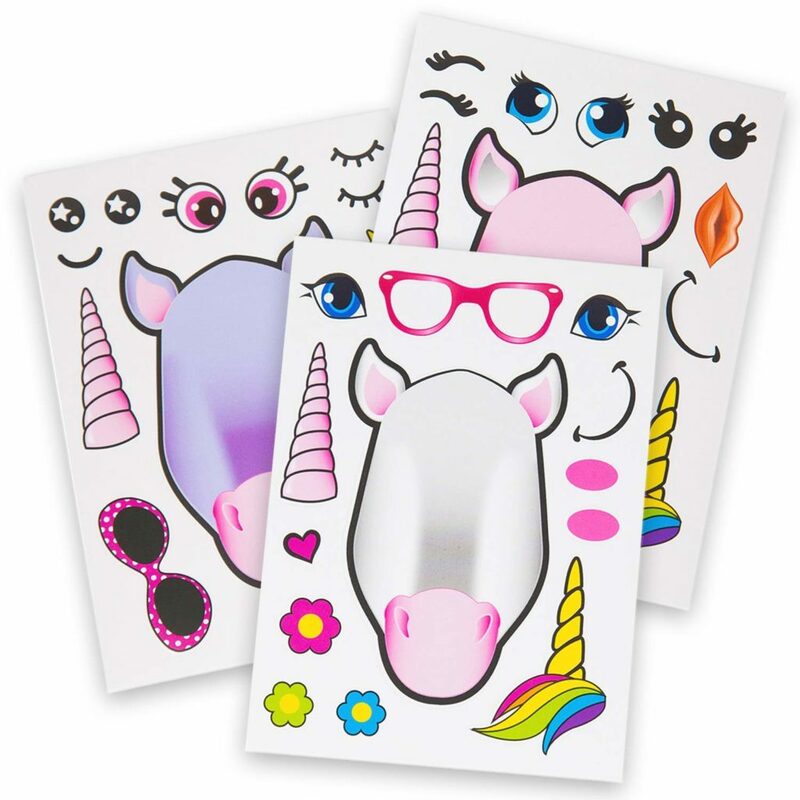 Honestly, there are so many cute unicorn themed party favor ideas we could keep going and going… you could also do custom sugar cookies, donuts or cupcakes in your favor bags too! 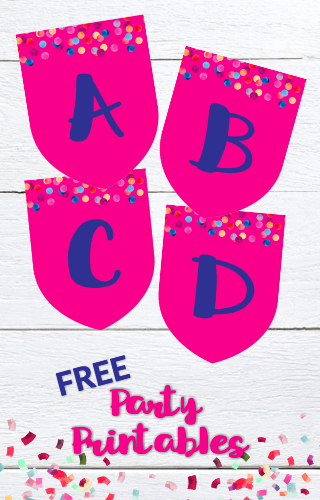 Don’t forget to Pin this post for later party inspiration, download the Unicorn Template from the Party Printable Library and check out our post on Unicorn Party Snack Ideas too!